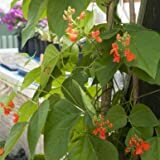 Runner bean growing vine of the genus Phaseolus also known as Phaseolus coccineus or scarlet runner bean, Runner bean perennial evergreen but in warm climate or colder climate grow as annual plant and also used as ornamental plant can grow in temperate, mediterranean or subtropical climate and growing in hardiness zone 2-10. 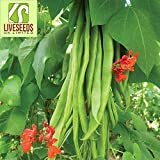 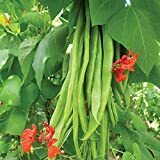 White Half Runner Bush Bean - 400+ Seeds - VALUE PACK! 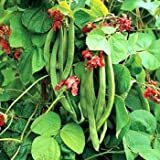 What can be done with big quantities of Runner bean seeds and pods? 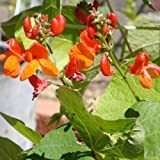 How long does it take to bear seeds and pods?